Global leaders gathered in Elon University’s Alumni Gym today to discuss global issues and challenge students to step up now to bring about change and make a difference. 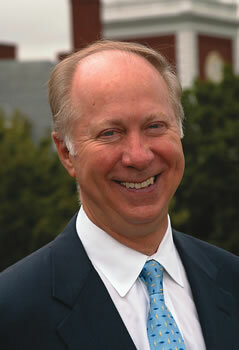 David Gergen has visited Elon before, serving as Elon's Isabella Cannon Distinguished Visiting Professor of Leadership in 2004. Gergen, former adviser to four U.S. presidents and current director of the Center for Public Leadership at Harvard Kennedy School, was one of several panelists to address the Elon University community during it’s Spring Convocation for Honors on Thursday afternoon. The event titled, “We can be better: Courageous voices confront our greatest challenges,” sought to address complex national and international issues, from politics and public education to religious civility and the environment. 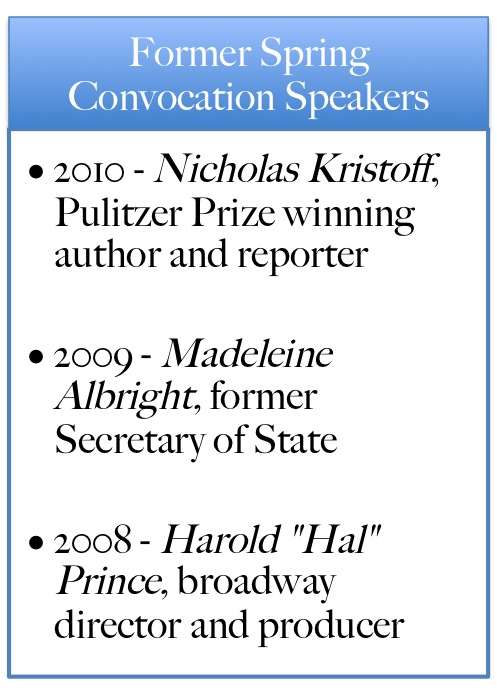 To do this, the university invited several talented and driven minds to Alumni Gym to participate in an open discussion moderated by Brian Williams, anchor and managing editor of NBC Nightly News. The hour-long discussion was filled with humor, challenge, and inspiration. Williams opened the discussion by asking Eboo Patel, founder of Interfaith Youth Core, when the glass would be half full when it comes to religious tolerance and acceptance. For Patel, it is all about values. “I think the first thing we have to do is get back to those values of faith and nation,” he said, maintaining that “America’s patchwork heritage” makes it the starting point for change, tolerance, and acceptance. Societal values were discussed during several portions of the event. For David Walker, former U.S. Comptroller General, head of the U.S. Government Accountability Office (GAO), and founder, president and CEO of the Comeback America Initiative, the return to values and principles is the key to economic stability in this country. “This country was founded on principles and values, and we’ve strayed from these values,” he said, highlighting stewardship as one of those critical values. According to Walker, as a budget shutdown currently looms, “we sail towards an iceberg that could sink the state. It’s like arguing over the bar tab on the Titanic.” Leadership, or according to Walker “adult supervision,” is what is needed. According to Levin, society have failed students when it comes to education. “We as a society are not taking our promises to our children as sacred,” he said, KIPP seeking to raise the expectations of children in low-income areas. KIPP’s goal is to push students to learn while making them “feel that they belong to something,” evidenced by the “All of us will learn” signs scattered throughout its 99 schools in 20 states. “I mean that in the best way,” Williams said in response to the laughter of the audience. Williams’s witticisms did not diminish the importance of the topics discussed, such as the United States’s reliance on foreign oil. “It’s not about addiction to oil. It’s about addiction to easy solutions,” said Shirley Ann Jackson, president of Rensselaer Polytechnic Institute. According to Gergen, the United States is facing a difficult future, because “we have become so addicted to not facing issues when they appear.” In his opinion, the country faces difficulties in education, our dependence on foreign oil and economic hardship because early signs of problems accumulated over time. Along with this commitment, Jackson believes branching out from government is important. “I think we need a partnership across sectors,” she said, stating that leaders in business, academia and the non-profit sector must be involved. “We need unplugged time,” he said. “The single-most important thing you can get out of your education is deciding what is important to you,” something he believes can only be discovered if cellphones and laptops are turned off every once in a while. Levin agreed. Turning to our mobile devices “gives us an out from listening to others who are different,” he said. Additionally, students were challenged to take part in change. Throughout the discussion, panelists returned to the fact that college students have a part to play. Patel has found that discovering what moves an individual is the key. Having received his doctorate degree from Oxford University, he was expected to pursue tenure at an esteemed university. However, he knew he wanted to pursue a focus on interfaith education, awareness and discussion. “You have to find what you love to do, and find a way to give it away,” he said. 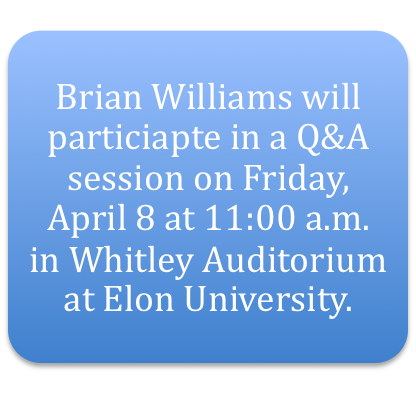 According to Williams, this is the time for Elon students to do so. “Imagine what you can do with that Elon energy. The stakes are high. It’s up to passionate individuals to seek change. Elon University Convocation for Honors is held each year to celebrate academic excellence, with Dean’s List and President’s List students, as well as graduating seniors, recognized during the event. This would be MUCH more SEO if you would include headliners’ names in the headline! Right now the headline is incredibly bo-ring. ALSO, use a photo from the event at the top. Do not use an old mugshot of Gergen with a caption that mentions 2004 – use what’s happening NOW! You should fix those aspects of this, because you put a lot of good work into it and you don’t want to drag it down with those minuses up at the top.